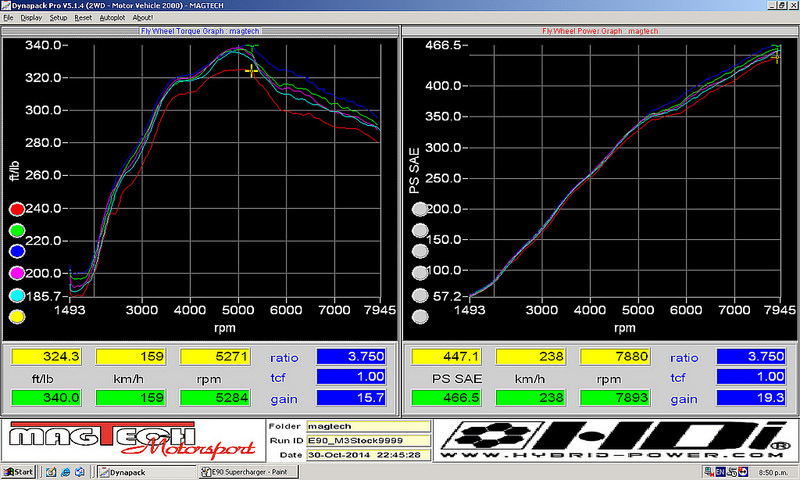 Boost pressure (6.10 PSI) verified with boost log. These values are corrected for RPM, TQ, and HP. 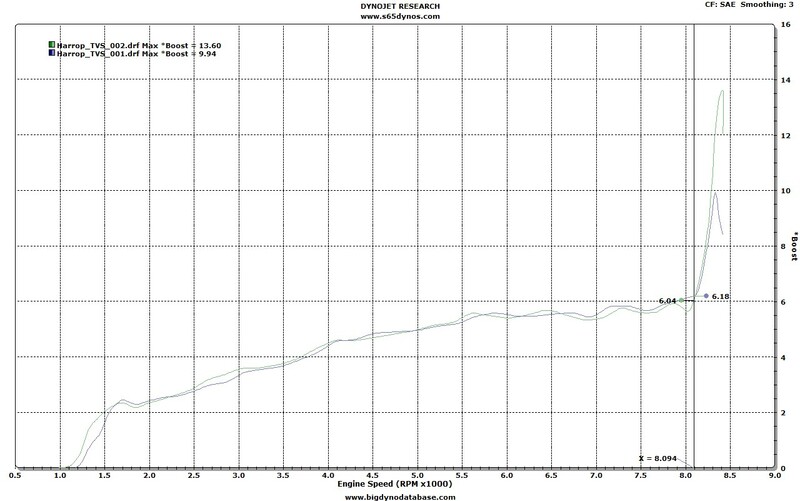 Dyno operator used wrong gear ratio when testing.